In part two of our eggnog investigation, food historian Andy Smith explains how ready-made 'nog became a ubiquitous sight in grocery stores. Last week on Day 6, we kicked off our seasonal series about eggnog by taste-testing three commercial offerings. That led us to wonder how the store-bought variation we know — and sometimes love — came to be the version that dominates the industry. How did this boozy medieval drink make its way into cartons and onto grocery store shelves? 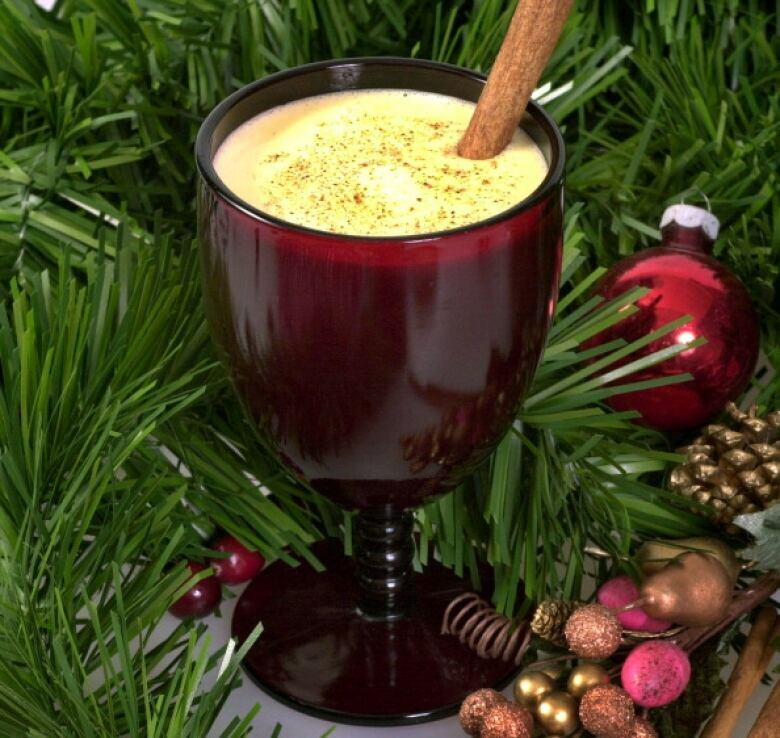 Surprisingly, for such a popular drink, the history of commercial eggnog is tricky to trace. Enter Day 6's resident eggnog sleuth Andy Smith, who's also a food historian and teacher at the New School in New York City. 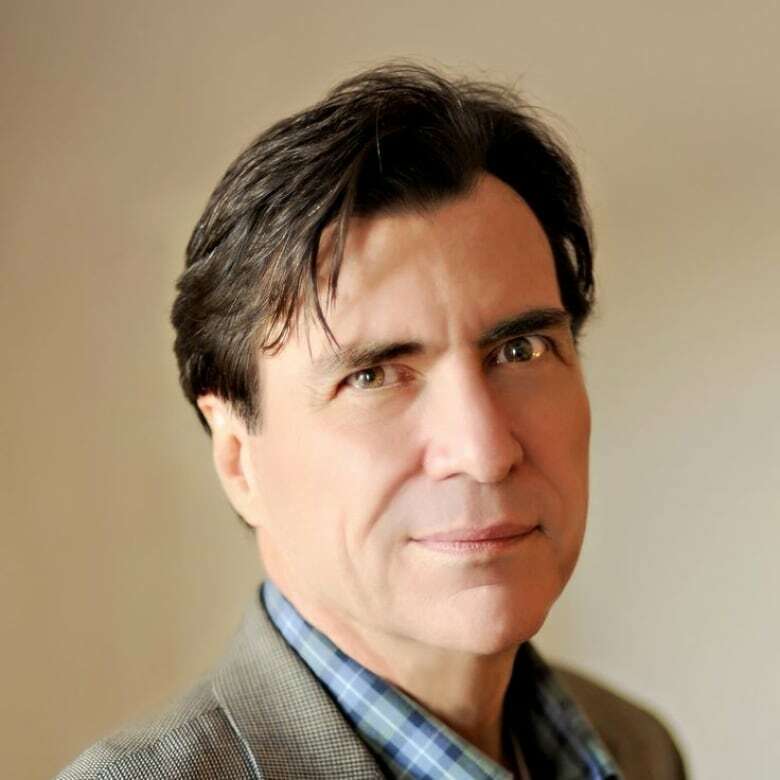 He tells host Brent Bambury that while there don't seem to be any books about the divisive holiday beverage, there are plenty of newspaper and journal articles from the past that can help track the origins of industrial eggnog. "There's there's no agreed-upon history, I'll phrase it that way," says Smith, who recently taught a class on the history of drinking, where eggnog was one of the topics of discussion. 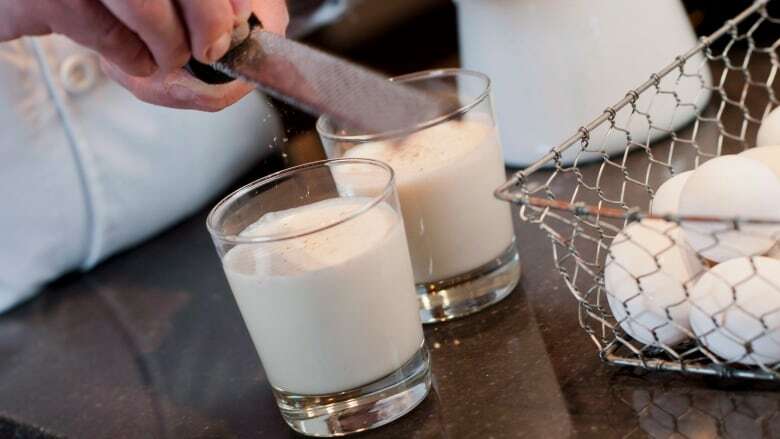 "There were a lot of beverages that were similar to eggnog — there were egg flips and all sorts of things from the U.K. that were very popular in colonial times in Canada and the United States," he explains. "And so it's only in the 19th century that the term 'eggnog' began to have an actual definition." While it's clear the packaged stuff is nothing like traditional homemade eggnog, what's less evident is how the boozeless beverage came to be readily available in stores. Smith, an eggnog enthusiast himself, says the ready-made drink that's now available in cartons got its start as a shortcut of sorts. "Essentially, there is such a thing as eggnog mix before 1920, but it typically is a powdered mix," he notes. "So powdered egg, powdered milk and whatnot is added together to make it relatively easy to do." The dry mix was an ideal solution at a time when few had the means to keep fresh food cold. "Refrigeration really doesn't come in surprisingly until the 1930s. And then it doesn't become extremely available to virtually everybody in North America [until] the 1950s," Smith points out. "So in the 1930s, the eggnog mix was actually sold by dairies. Eggnog mix is very close to ice cream, and there are a number of ice cream manufacturers that also sold eggnog mix, which would have been vanilla ice cream combined with spices and things of that sort. "So the commercialization of what we think of as eggnog in the sense of having the product that is now served in supermarkets, that would have been a product from the 1930s," he adds. 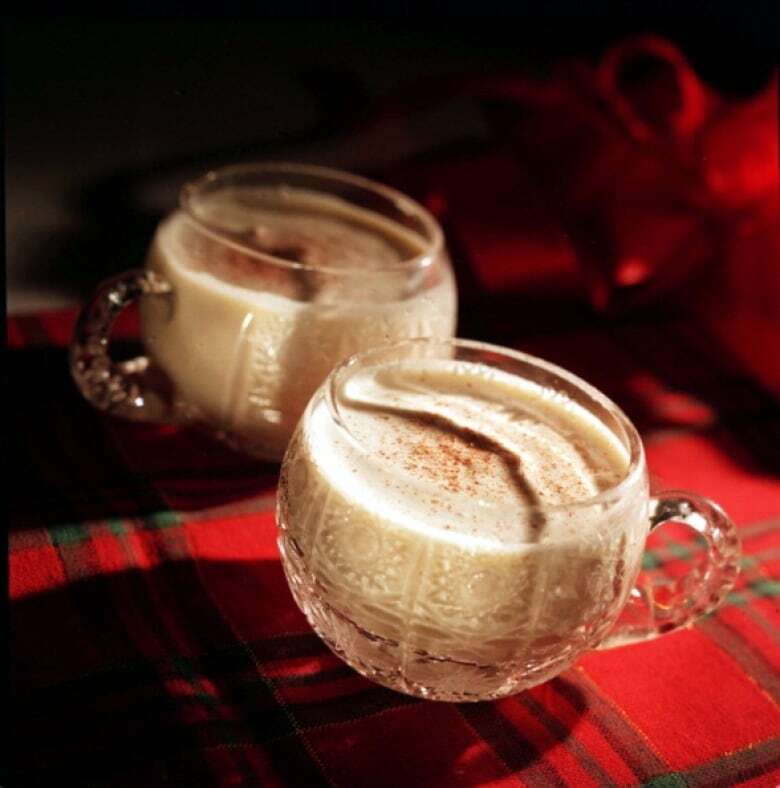 While eggnog from that era then sounds very similar to what we drink today — a creamy beverage mixed with vanilla and other spices — Smith also came across some unusual early variations on the traditional version. "There were thousands of different recipes that were surprising to me. The avocado eggnog, for instance, was something that I'd never tried before — and I'm not sure I will," he says with a laugh. "There were dozens of other combinations, like oranges and grapefruit. And these were commercially sold, too. So they had lots of other flavourings in them other than what we just think of today [with] the nutmeg and cinnamon and sugar." Today, we're far more likely to pick up a carton of refrigerated eggnog from the store than a powdered mix. 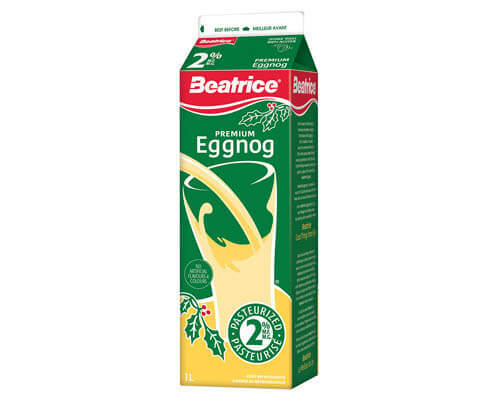 First sold in supermarkets in the late 1930s, eggnog in cartons became a common product by the 1950s. But why serve a wintertime holiday drink chilled instead of warm? "Historically, it would have been consumed at any time of the year," Smith says. "Eggnog would not have been a cold drink — it would have been a hot drink, and so therefore the association with winter seems to me to make some sense, but now why a cold beverage would take precedence over lots of other possibilities is, at this point, unfathomable to me." Tune in next week as our eggnog investigation continues by going straight to the source. Find out why a family-run micro-dairy starts to ramp up for holiday eggnog production in the middle of the summer. To hear the full interview with food historian Andy Smith, download our podcast or click the 'Listen' button at the top of this page.